1. Boorjian S.A., Kim S.P., Tollefson M.K. et al. Comparative performance of comorbidity indices for estimating perioperative and 5-year all cause mortality following radical cystectomy for bladder cancer. J Urol 2013;190: 55–60. 2. Eisenberg M.S., Boorjian S.A., Cheville J.C. et al. The SPARC score: a multifactorial outcome prediction model for patients undergoing radical cystectomy for bladder cancer. J Urol 2013;190:2005–10. 3. Culp S.H., Dickstein R.J., Grossman H.B. et al. Re ning patient selection for neoadjuvant chemotherapy before radical cystectomy. J Urol 2014;191:40–7. 4. Комяков Б.К., Сергеев А.В., Фадеев В.А. Лимфодиссекция при радикальной цистэктомии. Вопросы онкологии 2010;56(5):508–13. [Kоmyakov B.K., Sergeev А.V., Fadeev V.А. Lymphodissection at radical cystectomia. Onkologiya = Oncology 2010;56(5):508–13. (In Russ.)]. 5. Hautmann R.E., de Petriconi R.C., Volkmer B.G. Lessons learned from 1 000 neobladders: the 90-day complications rate. J Urol 2010;184:990–4. 6. Hautmann R.E., de Petriconi R.C., Volkmer B.G. 25 Years of experience with 1 000 neobladders: long-term complications. J Urol 2011;185: 2207–12. 7. Morgan T.M., Kaffenberger S.D., Cookson M.S. Surgical and chemotherapeutic management of regional lymph nodes in bladder cancer. J Urol 2012;188:1081–8. 8. Burkhard F.C., Roth B.,Zehnder P., Studer U.E. Lymphadenectomy for bladder cancer: indications and controversies. Urol Clin North Am 2011;38:397–405. 9. Красный С.А., Суконко О.Г., Ролевич А.И. Результаты лечения больных раком мочевого пузыря с метастазами в регионарных лимфоузлах. Онкоурология 2007;3:35–41. [Krasny S.А., Sukonkо О.G., Rolevich А.I. Results of treatment of patients with bladder cancer and metastases in regional lymphatic nodes. Onkourologiya = Оncourology 2007;3:35–41. (In Russ.)]. 10. Хабалов Р.В., МатвеевБ.В., Волкова М.И., Носов Д.А. Лечение и прогноз больных переходно-клеточным раком мочевого пузыря с метастазами в регионарные лимфоузлы. Онкоурология 2007;4:30–5. [R.V. 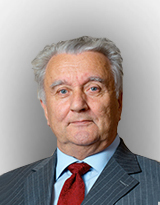 Khabalov, V.B. Matveev, M.I. Volkova, D.A. Nosov. Treatment and prognosis in patients with transitional cell carcinoma of the urinary bladder metastasizing to regional lymph nodes. Onkourologiya = Оncourology 2007;3:30–5. (In Russ.)]. 11. Hautmann R.E., Gschwend J.E., de Petriconi R.C. et al. Cystectomy for transitional cell carcinoma of the bladder: results of a surgery only series in the neobladder era. J Urol 2006;176: 486–92. 12. Hautmann R.E., de Petriconi R.C., Pfeiffer C., Volkmer B.G. Radical cystectomy for urothelial carcinoma of the bladder without neoadjuvant or adjuvant therapy: long-term results in 1100 patients. Eur Urol 2012;61:1039–47. 13. Tilki D., Svatek R.S., Novara G. et al. Stage pT0 at radical cystectomy confers improved survival: an international study of 4,430 patients. J Urol 2010;184:888–94. 14. Abol-Enein H., Tilki D., Mosbah A. et al. Does the extent of lymphadenectomy in radical cystectomy for bladder cancer influence disease-free survival? A prospective singlecenter study. Eur Urol 2011;60:572–7. 15. May M., Herrmann E., Bolenz C. et al. Lymph node density affects cancer-specific survival in patients with lymph node–positive urothelial bladder cancer following radical cystectomy. Eur Urol 2011;59: 712–8. 16. Mitra A.P., Quinn, D.I., Dorff T.B. et al. Factors in uencing post-recurrence survival in bladder cancer following radical cystectomy. BJUI 2011;109:846–54. 17. Faba O. R., Palou J., Rosales A. et al. Clinical predictive factors of poor outcome in patients with stage pT0 disease at radical cystectomy. J Urol 2011;186: 442–7. 18. Smith Z.L., Christodouleas J.P., Keefe S.M. et al. Bladder preservation in the treatment of muscle-invasive bladder cancer (MIBC): a review of the literature and a practical approach to therapy. BJU Int 2013;112: 13–25. 19. Shariat S.F., Karakiewicz P.I., Palapattu G.S. et al. Outcomes of radical cystectomy for transitional cell carcinoma of the bladder: a contemporary series from the bladder cancer research consortium. J Urol 2006;176: 2414–22. 20. Ghoneim M.A., Abdel Latif M., El-Mekresh M. et al. Radical cystectomy for carcinoma of the bladder: 2 720 consecutive cases 5 years later. J Urol 2008;180:121 Smith Z.L., Christodouleas J.P., Keefe S.M. et al. Bladder preservation in the 7.